Please join us as we celebrate the grand opening of DelBrenna! Sebastian & Megan are committed to following the deeply-rooted Italian family tradition of fine jewelry making. 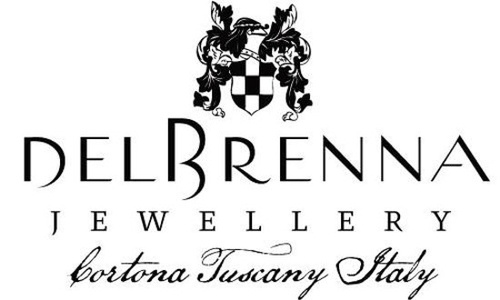 As the DelBrenna brand grows, they preserve an environment where the art of goldsmith, an appreciation of the finer things, and the joy of accessorizing can all happily coexist. "Our grandfather passed his craft on to our father, who, in-turn, taught us. With an enduring devotion to evolve our skills and invest in the future, we at DelBrenna cultivate this birthright which inspires our distinctive style; handcrafted, one piece at a time, at our family’s studio in Cortona, Tuscany." Please join us as we help celebrate their Grand Opening. Don't miss out on an opportunity to meet the DelBrennas, enjoy personal jewelry stylings, and induldge in plenty of bubbly. Our Ribbon Cutting will take place at 10:15 a.m.